The Conexpo 2011 tradeshow in Las Vegas will see the unveiling of some truly exciting developments by Sandvik Mining and Construction. Sandvik will display many old favorites as well as new products specifically focused at the North American market place. However, the key theme will be Quarry Academy which Sandvik developed in order to provide even greater value to their customers in an alliance with Dyno Nobel. The timing of Conexpo 2011 could not have been better for Sandvik Mining and Construction as it has recently experienced an increase in sales throughout North America. This growth has been particularly strong in the product lines that have been developed to cater for North America’s specific requirements, and to cater for the markets own unique operating environment. 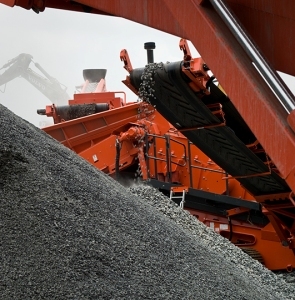 The increasing demand for Sandvik products has been particularly seen in crushers, screens, drill rigs, breakers and associated product lines that deal with infrastructure projects. All Sandvik products have been developed working in conjunction with some of the world’s leading quarrying and construction companies. This has ensured that Sandvik produces the right equipment, for the right application, all with the features that ensures customers benefit from the highest levels of productivity, but the lowest levels of cost of ownership and vitally, with minimal environmental impact. Conexpo 2011 is going to be a great show, and with so many examples from its all encompassing product line, the launch of the Quarry Academy, which all means Sandvik Mining and Construction’s booth, is sure to be a “must-see” for all visitors.